Raking your yard each fall is no fun. 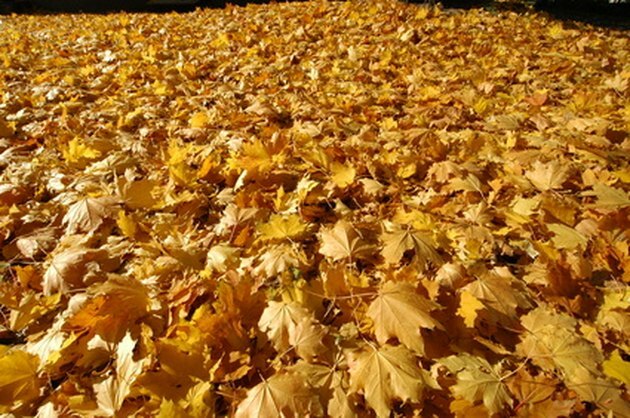 As soon as you rake up a pile of leaves, more fall down and you have to start all over. There are many drag-behind attachments that you can buy for your riding mower but they are cost prohibitive. If you are sick of raking leaves but you do not want to spend the money for a lawnmower attachment, you can build a drag-behind leaf rake easily and inexpensively. Sandwich a 4-foot end of the chain link fence between two studs. Nail the two studs together from both sides with the fence between them. Repeat on the other end of the fence until you have studs covering both 4-foot ends. Attach the rope to both ends of a stud by setting a nail halfway and bending it over the rope 2 inches from the end of the rope. Tie a loop in the middle of the rope just large enough to get over the ball hitch on your mover.